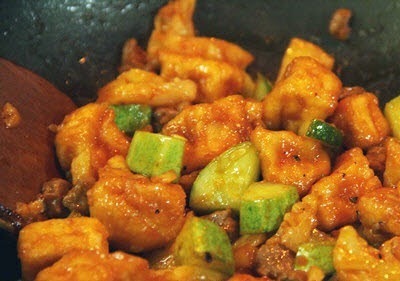 If you are on diet process, I think Fried Tofu with Vegetables and Beef (Đậu Hũ Xào Rau với Thịt Bò) can be your main dish in whole day. It comes from many delicious Vietnamese Food Recipes. With many easy ingredients to find around you, one stunning dish will be created. I bet it can help you feel better when trying to eat diet food with low carb. So, are you ready to make one of amazing Vietnamese Food Recipes from us right now? You will not regret about your decision. If you do want to cook it, please follow carefully our instructions below. Let us start cooking now. 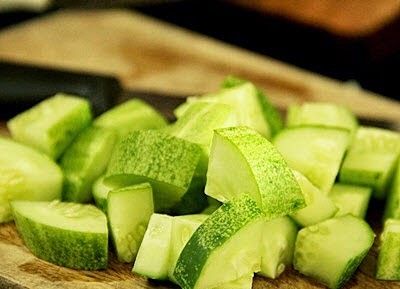 Step 1: Clean cucumber and slice into small cubes. Step 2: Peel off the cover of pineablle, cut off the eyes, clean carefully and slice into medium pieces like photo below. 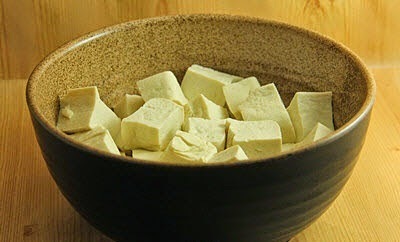 Step 3: Soak tofu into hot water about 2 – 3 minutes to clean. Slice them into square shapes. 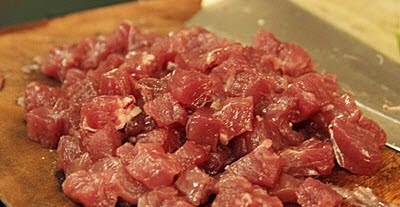 Step 4: Next, clean beef and slice into small cubes. 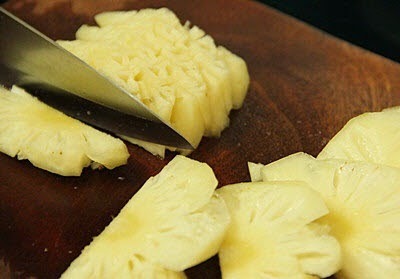 Step 5: Here is the important step to create the flavor for one of amazing Vietnamese Food Recipes for your meal. 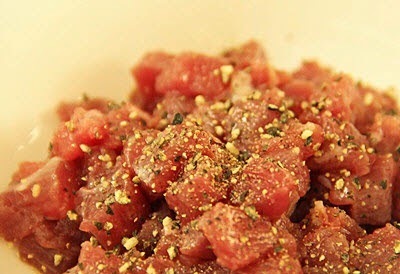 Marinate beef meat with ½ teaspoon salt + ½ teaspoon pepper, mix well and wait about 30 minutes. 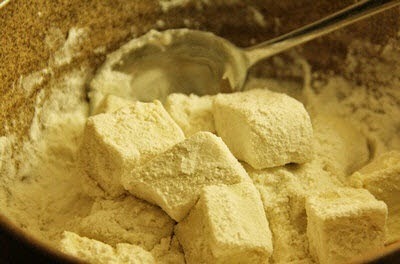 Step 6: Wait until sliced tofu dry, roll them through wheat flour, make sure flour will apply all faces of them. 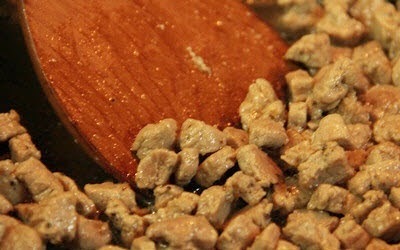 Step 7: Add 1 tablespoon oil into pna, wait to hot, bring tofu (in step 6) to fry until they turn yellow. Pour them on plate added paper napkin to absorb wasted oil. Step 8: Use again that pan, add more oil, wait to hot, add minced garlic and fry until it is fragrant. Then, add sliced beef meat and fry with large heat about 3- 4 minutes. Pour on plate. 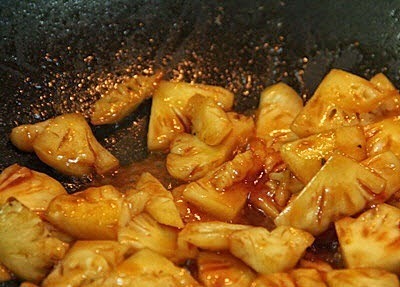 Step 9: Continue add more oil into that pan, add sliced pineapple + 2 tablespoons ketchup and fry quickly about 4 – 5 minutes. 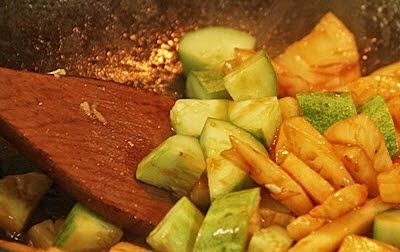 Step 10: Add more sliced cucumber into pan and fry quickly about 2 – 3 minutes. 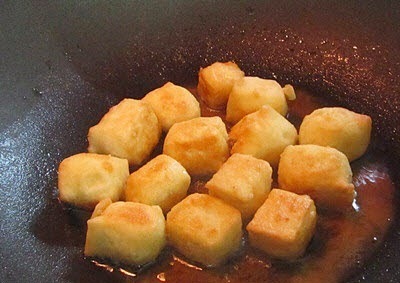 Step 11: Finally, pour all fried beef meat + fried tofu into pan, fry with medium heat about 3 – 4 minutes. Season again with salt, sugar and pepper to suit your flavor. Turn off the heat. Finally, you finishes one of amazing Vietnamese Food Recipes for yourself. I bet you will love it when eating with boiled rice or bread especially in cold days. Sprinkle a little pepper and sliced coriander on face to increase its flavor. 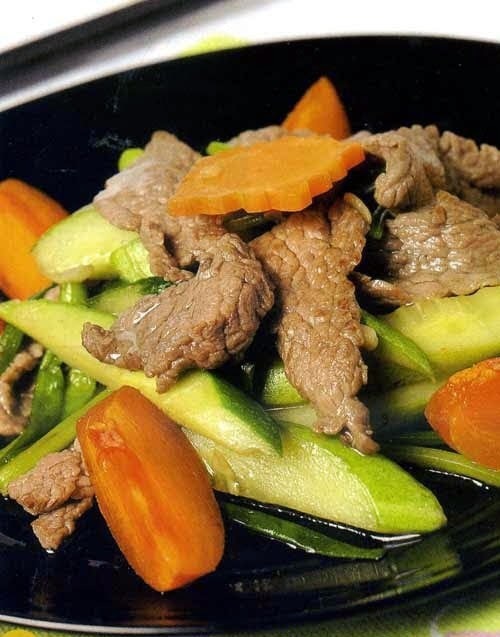 Hope you love this dish and do not miss our other stunning Vietnamese Food Recipes next time. Good Luck for your Cooking and Happy Holidays.